Trinity Central is served by a team of four elders: Rhys Scott, James Vander Woude, Sam Coggan and Sam Wade. See below for more on the elders and their wives. 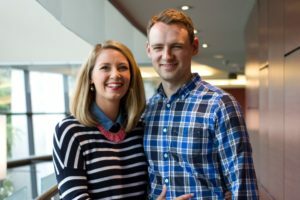 Rhys and Sara and their two children, Eden and Taylor, moved to Vancouver to plant Trinity Central in 2011, having previously been involved in planting a church in London, U.K. Originally from South Africa, Rhys leads the eldership team at Trinity Central and is a full-time staff member. Sara is a chartered accountant. They love people, the outdoors, and playing and writing music. The Vander Woudes joined Trinity Central in the summer of 2012. James grew up in western Canada and Liezl in South Africa. They met in Taiwan while working as English teachers. They enjoy travelling and spending time with their daughters Iris and Mieke and their son Joel. James is on staff full time at Trinity Central. In his spare time, James likes reading biographies, mystery novels and the latest about the Oilers. Sam and Grace moved from the U.K. to join Trinity Central in 2013. They lead Kids Church together. They have five children: Alfie, Eli, Arnie, Nelly and Luna. Sam and Grace have a wonderfully pastoral heart. They love to laugh, enjoy life and have people around their place. Sam has his own plumbing business and he enjoys playing soccer and being outdoors. Sam and Kath have been friends with the Scotts for years, having previously belonged to the same church in London. 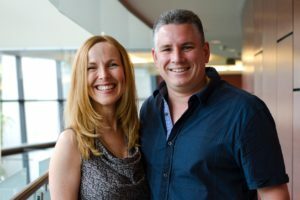 They moved to Vancouver to join Trinity Central in 2012, and now have three children: Ethan, Florence and Joshua. 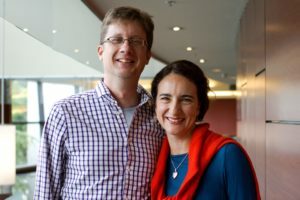 Sam and Kath lead the Alpha ministry in the church and Sam carries responsibility for Lifegroups. 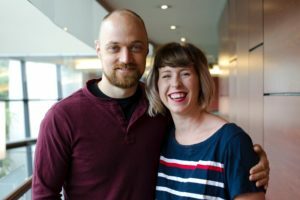 Sam and Kath love having people in their home for dinner, bbq’s in the summer, and you may even find them hosting the odd wine tasting party. Sam is a Management Accountant for a wine company.